Premises liability laws are laws which hold the owner of a property responsible for injuries which occur on the property. Premises liability usually applies to cases in which a visitor has been harmed while on a homeowner’s property or a customer has been harmed while visiting a business. While it is understood that a business owner is also responsible for employees, employees that have been injured will typically file workers’ compensation claims, rather than premises liability claims. 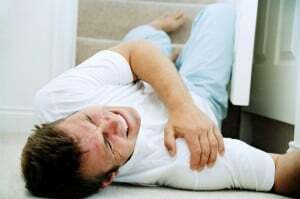 Any time that a person that has been invited onto a property is injured, the owner of the property may be held liable. If a person was not invited onto the property, the liability of the owner may depend on the circumstances of the situation. In the case of commercial property in which items are for sale, it is assumed that customers and vendors are invited to the property. If a person is trespassing, the owner may or may not have a duty to warn the individual of inherent dangers. Certain notifications may be considered ample warning for trespassers, such as a “no trespassing” sign or a “beware of dog” sign. If the trespasser is a child, the property owner is typically expected to make a reasonable effort to warn the child of dangers. If a property is being rented by a tenant, the landlord owes a duty of care to the tenants to ensure that any known hazards are fixed or that the tenant has been warned of these hazards. If a tenant is injured, the court will typically hold the landlord accountable if the injury was caused by a stationary fixture, such as a light fixture or a wall. If the tenant was injured by a movable item, such as a table, the tenant will typically be responsible for the injuries. If a visitor is injured on the property, the responsible party may be determined by the contracts which are in place. If a contract specifies that the tenants take responsibility for any injuries which may occur on the property, than the landlord may be exempt from this responsibility in some cases. This may apply in both residential and commercial situations. If there is no contract, the landlord is typically responsible by default. If the owner or tenant can prove that the victim was entirely responsible for the injuries, the premises liability case may be dismissed. This may be the case if the victim failed to use reasonable judgment while visiting the property. If it is determined that the victim was partially responsible for the injuries which occurred, the owner may owe a percentage of the damage compensation that is being sought. In order to prevent visitor injuries, property owners are expected to keep properties reasonably free of hazards. This may include shoveling or salting slippery walkways, securing vicious animals, and keeping swimming pools enclosed. Business owners may be required to keep records of measures which are taken to prevent hazards to visitors. These records may be used as evidence in a premises liability case. Statute of limitations laws require that premises liability cases are filed within a certain period of time. A personal injury attorney may be able to assist victims of negligent land or business owners in completing all necessary requirements to file a claim within the time frame allowed. Premises liability laws may vary from state to state, and are often updated. A personal injury lawyer that has experience handling premises liability cases will understand these laws and may be able to provide assistance in gathering evidence and testimony to support the claims of the victim. “Premise Liability Law.” – HG.org. HG.org, 1 Jan. 2014. Web. 6 June 2014. “Statutes & Constitution: View Statutes: Online Sunshine.” Statutes & Constitution: View Statutes: Online Sunshine. The Florida Legislature, 5 June 2014. Web. 6 June 2014.